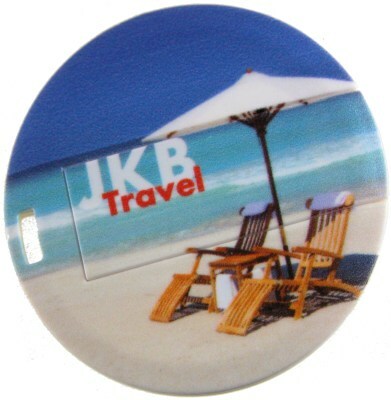 Coin Style Round USB Business Card branded & bulk promotional USB sticks. 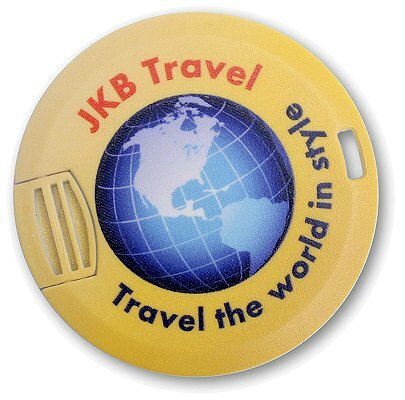 Price includes full colour print 2 sides. Delivery on Fedex tracked service £19.95. VAT extra. 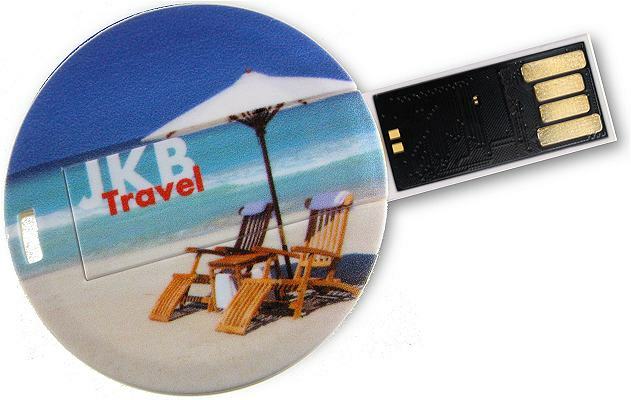 This small coin shaped USB stick is only 2.9mm thick and its round shape is ideal for displaying round corporate images and logo printing. 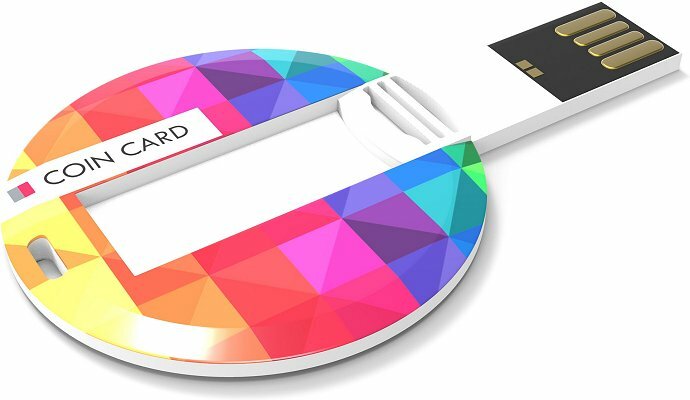 It is even possible to have individual prints on each piece. 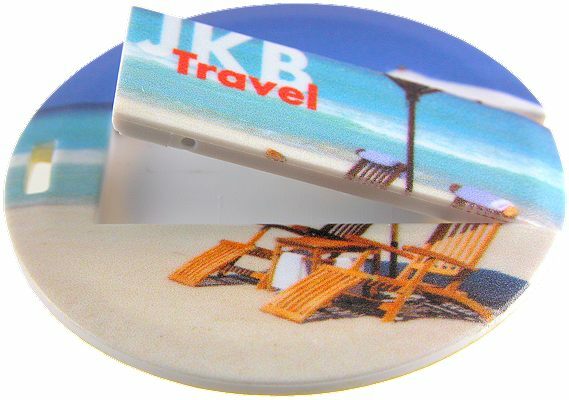 For this item we use digital direct printing techniques which enables us to produce razor sharp prints and full colour images onto this product. 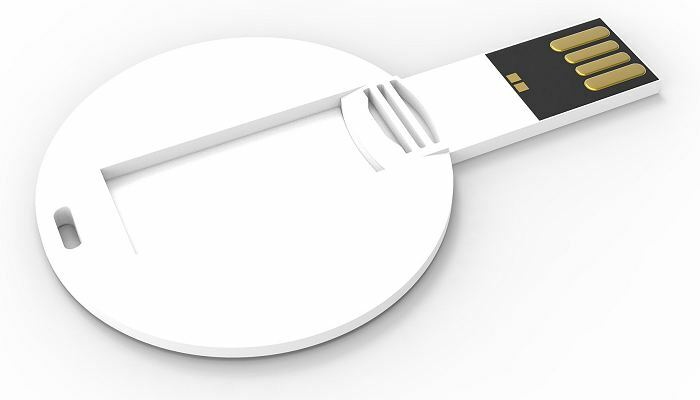 This gives you infinite opportunities to personalise this USB stick.